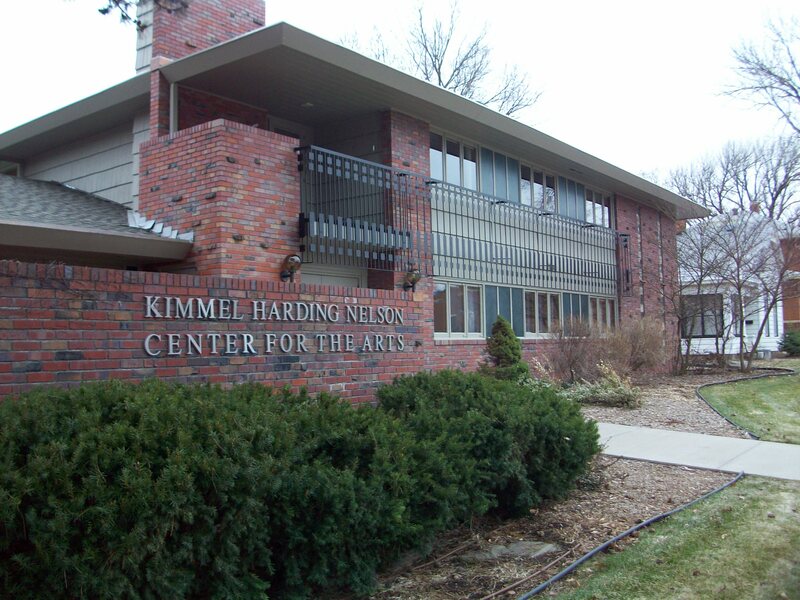 I recently was granted an artist’s residency at the Kimmel Harding Nelson Center for the Arts in Nebraska City, from March 15-26, and I’ll be blogging about my experiences there over the next couple weeks. It’s a little awkward to be doing this in the past tense, I’d originally planned on doing a daily journal while I was there, but it seemed like a bad idea to announce on the Internet that I was away from home. It was hard enough to leave Nicole and Maddie home alone during the start of the spring gang wars. Nicole and Maddie drove me down on Monday morning and dropped me off at the center. We met the residency directors, Pat and Denise (her last day, sadly) and were given a tour of the facilities. The center was built in 1969 by the Nelson family as a luxury retirement residence for them and a few of their friends, and then was turned into the KHNCFTA in 1999 after Mrs. Nelson died. So there was a main apartment, which is now office space and an art gallery, and two attached apartments that each house two residents. 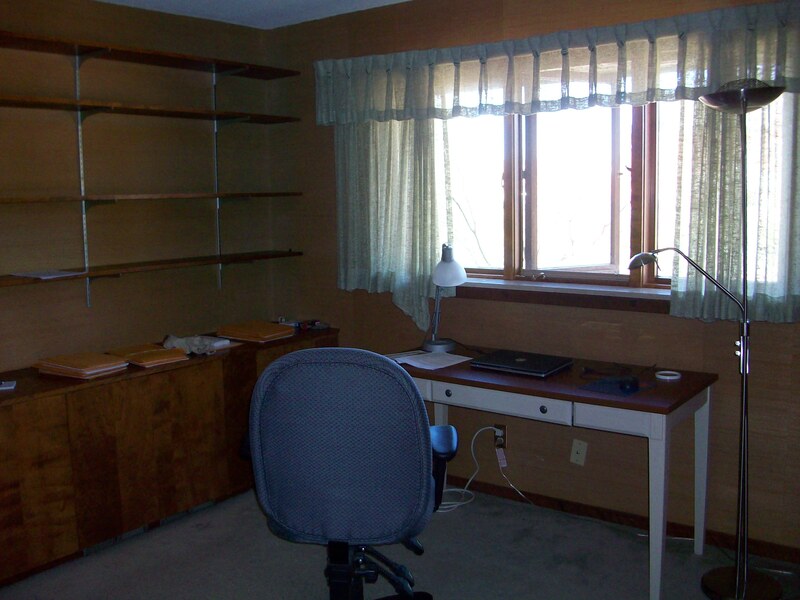 There’s also a caretaker’s apartment in the basement for a fifth resident. The three garages have been converted into studio space, and there’s a great courtyard in the center of the complex. It’s really wonderful. Almost everything here appears to be original, the wallpaper, the fixtures, the appliances. My roommate (photographer Matthew Jensen) tells me that this style is all the rage now in New York. 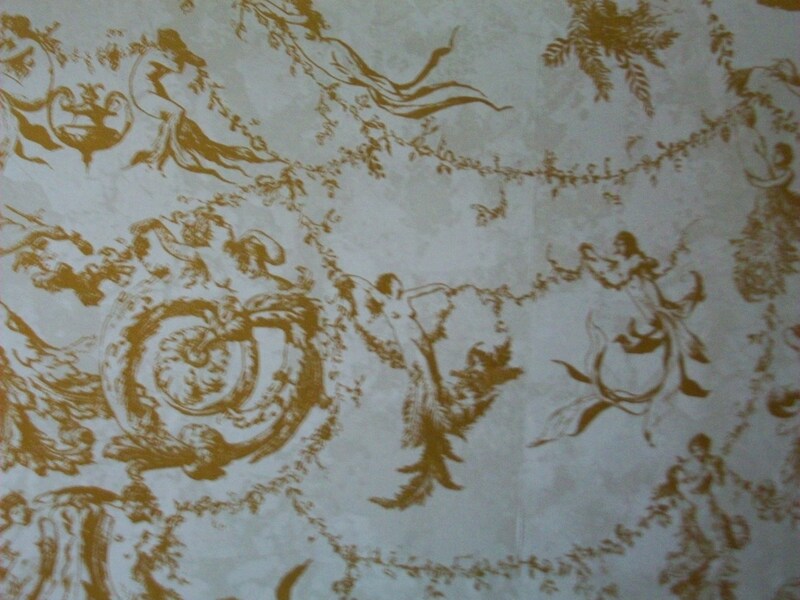 The swanky wallpaper in my bathroom. It was very hard when Nicole and Maddie drove away, but I’ve been able to talk to them throughout each day. Maddie’s phone skills are improving dramatically and she’s learning so many new words now. Like, “Salt and pecker.” It’s hard to miss that. I had to focus myself and make the most of my time. Even on the first afternoon I was able to write for a few hours, which really set a nice tone for the two-weeks. Still, a lot of the first few days were spent just kind of figuring out what to do while I’m here. Of course I’d made plans beforehand, and I stuck to them mostly, but it was almost off-putting to have so much time. There was time to sleep in, time to stay up late and work, time to nap, time to eat when it was necessary. It allowed me to get wrapped up in the novel completely. I think generally I do kind of live through whatever I’m working on, half asleep to the world. I carry it with me, thinking about it throughout the day, whether I’m walking into the courthouse, going through security, or taking care of Maddie in the morning. It’s a preoccupation that allows me to work every day—because at least half of my mind is on the project at all times in order to stay within it. But the process of engagement was so much more complete at KHN. There was no metal detector alarm to break me out, no NW Radial traffic to vie for my preoccupation space. For the most part, during the first few days, I wasn’t working a ton more hours than I usually would during the course of a day—jumping from 2-3 to 4-6, maybe more than that. Anyway, the big difference was having time to think about things. On Day 2, the writing wasn’t happening, so I took a two hour walk over to the Arbor Day Lodge and back. It wasn’t like I had a big breakthrough or anything, but such trips helped clear an awful lot of mental space. I came back and had lunch, laid down for an hour, read for an hour, and then was able to be very productive for three hours. Usually, I’d have the three hours to be productive in, and if it didn’t happen, the day was a waste.That wasn’t the case at KHN. It was about finding the right time of day to work in, the right mental space, the right location—and actually having the freedom to occupy that space and produce. This was the main benefit of the residency. I wrote about twenty new pages in the first three days, which is a little more than a good week’s worth—and a banner week at that. I think the writing is solid, there’s some nice description, a few images that have really announced themselves, more than a few leaders emerging that will help determine the plot. This was Part II of Hyphenates I was working on, and I chose to go in without any kind of guiding outline, basically just knowing a specific place I need it to end—the day after the municipal election in 1918—with seven pages of notes to guide me. There seemed to be a lack of conflict for a while, but it started to emerge during this time. I wrote about half of Part II and also had the second half plotted, which is kind of a week’s worth of work in itself.